Natural plant anthocyanidins are a group of components found in dark skinned fruits, berries and even pine bark. Scientists studying these particular plant compounds have focused much of their work around the role they play in helping to support the health of collagen. Collagen is the most abundant protein in the body and it is the protein that forms connective fibres in tissues such as skin, ligaments, cartilage, muscles and capillaries. When collagen is damaged, (by free radicals, sunlight etc), tissues can lose their strength and elasticity. 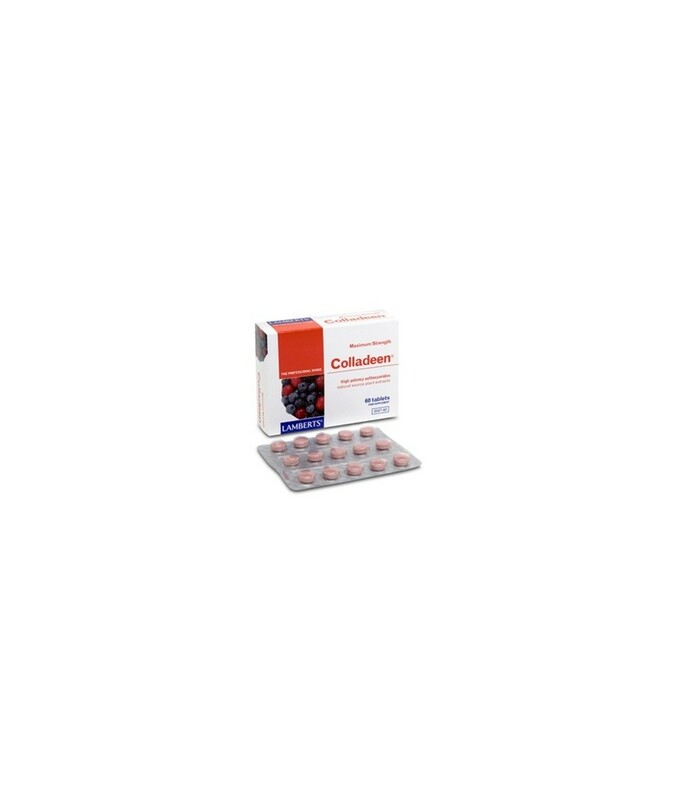 The health of collagen is greatly dependent on the nutrients in our diet such as vitamin C and research indicates that anthocyanidins play an active role in protecting the body�s collagen. This is why in both our Colladeen� products we have used a level of anthocyanidins that reflects this research. 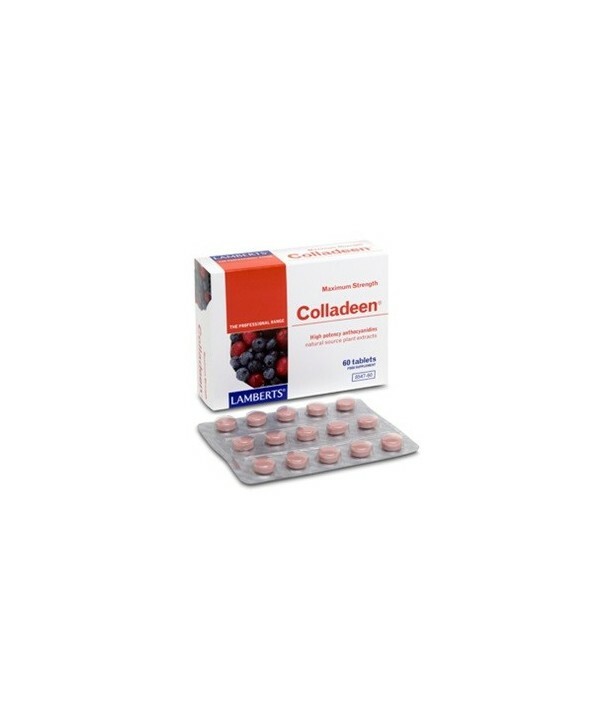 In fact Colladeen� is still the most potent anthocyanidin formula available, providing a full 160mg of anthocyanidins (from extracts of grapeseed and bilberries) per tablet. A pink round coated tablet. DiCalcium Phosphate, Cellulose, Tablet Coating (Colours: Titanium Dioxide amp; Iron Oxides, Hydroxypropyl Methylcellulose, Glycerin), Crosslinked Cellulose Gum, Stearic Acid, Silicon Dioxide, Magnesium Stearate.